Today I had a painting lesson. I’m learning to paint from a teacher once a month.Every time she brings some painting books and shows to me. 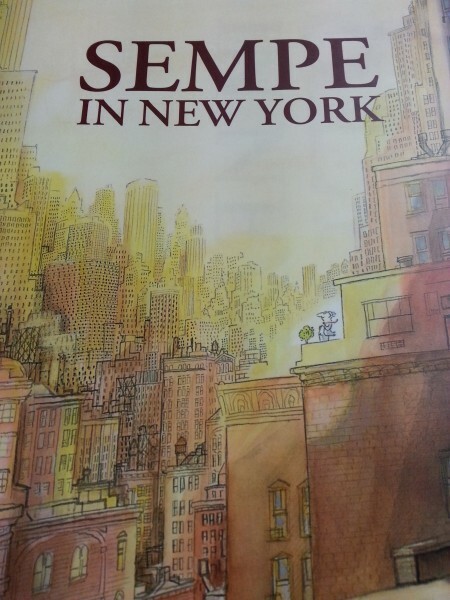 This time the book was “SEMPE IN NEW YORK ”. SEMPE is a painter’s name. He is famous for painting the covers for the magazine “THE NEW YORKER”.You might have seen his work before. 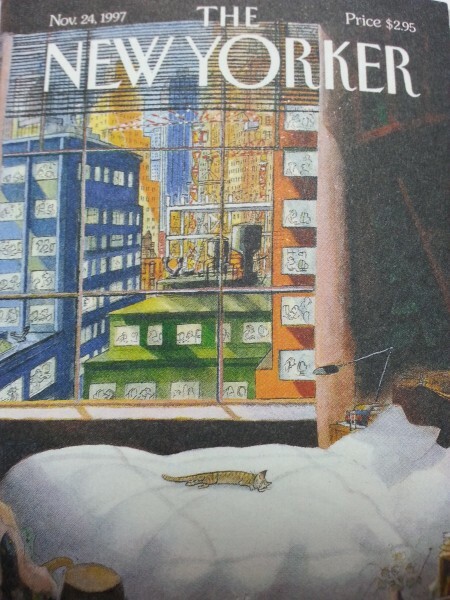 This book printed “THE NEW YORKER”’s covers from 1978 to 2009. I fell in love with this book at first sight. Because, his paintings are very heart warming and cool. They also have a sense of humor. They are like scenes in our daily lives. 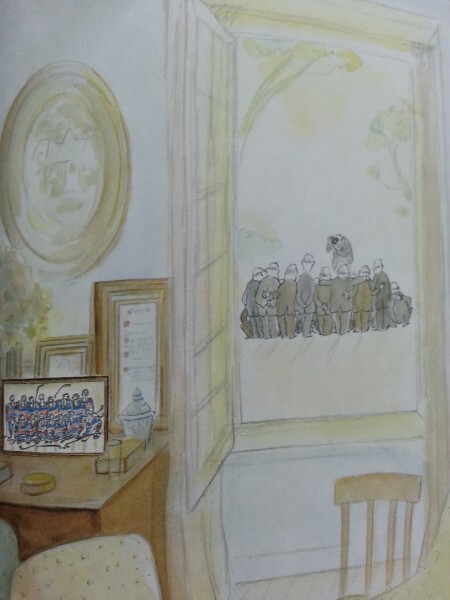 A cat, boys, girls, a business man and musicians in New York are the main characters in the paintings. I am sure you have seen at least one of the scenes before. As for me, there is one particular picture that reminds me of a sort of nostalgia. I made a plastic board for the first time. 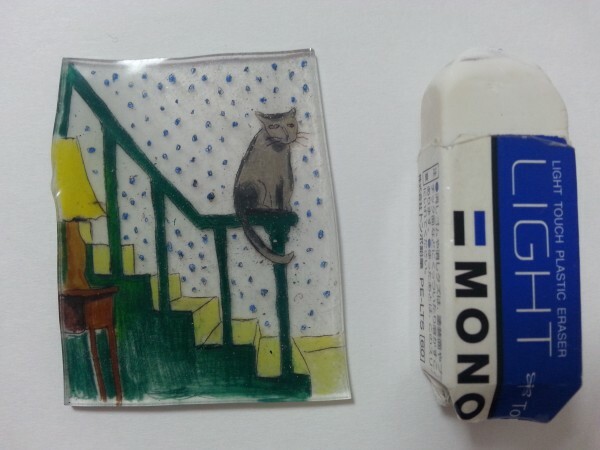 Then, I made a plastic board of SEMPE’s illustration. My painting teacher taught me how to make it. I used a toaster and it was easy and fun! It is my homage to SEMPE. Thank you my teacher! You always give me a good inspiration for painting. ↑This small plastic board is my homage to SEMPE. ↑A cat is sleeping on a bed. The view from window beside the bed, you can see people work hard at offices in buildings at night. It’s a funny contrast between a lazy cat and busy people. ↑An old picture and a new picture?